This is the best heading I’ve ever woke up to in my life. We are truly waking up as a people, in an age where people hear gun shots and grab their cell phones. In an age where our people witness violence and encourage the aggressors to continue the attack. 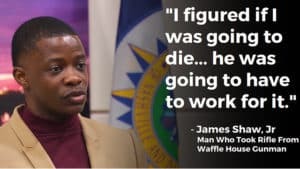 This Black Man James Shaw Jr, not only placed himself in front of the bullets, but tackled the gunman and wrestled the weapon away from him. The 29 year old rushed the gunman as he attempted to reload, snatching the weapon’s barrel and pulling the gun away from the shooter before throwing the weapon over a counter at the restaurant. During the scuffle, the young father Shaw, suffered a gunshot wound and burns from grabbing the gun’s barrel. The Waffle House attacker burst into the restaurant at 03:25 local time (08:25 GMT) on Sunday in the suburb of Antioch and opened fire with a semi-automatic rifle. Four people we killed and two others were wounded by the gunman who unfortunately is currently still on the loose. God, I am so happy to see this man worshipped and praise. I hope he is plastered on every wall in the ghettos of America, I pray that every TV show from the View, to Good Morning America has him on, hopefully his actions inspires others in our communities. 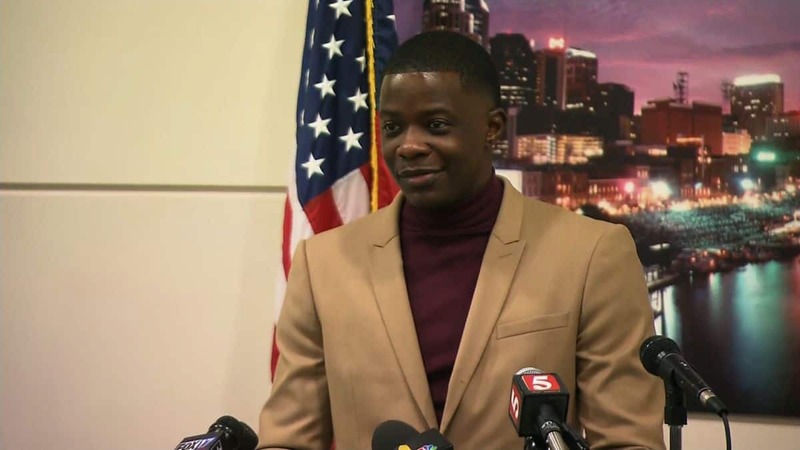 I am of the opinion, that James Shaw Jr. is an American Hero. Please share this story, he is worthy of all this praise. God Bless Him and His Family.